Links in bold are available free; other links lead to the publisher’s site. “Bitter Tastes: Recognizing Women’s Naturalism.” Excavatio VOL. XXIV, 2014. NATURALISM AND NEO-NATURALISM IN THE UNITED STATES, THE SOUTH, AND LOUISIANA. “’Have you read my ‘Christ’ story?’: Mary Austin’s The Man Jesus and London’s The Star Rover.” The Call 23.1-2 (2012): 9-13. “Fictionalizing Jack London: Charmian London and Rose Wilder Lane as Biographers.” Studies in American Naturalism 7.2 (2012): 176-192. “The Ghost Story as Structure in Edith Wharton’s ‘The Other Two. '” The Explicator 71.1 (2013): 69-72 (http://www.tandfonline.com/toc/vexp20/current). “Edith Wharton and Naturalism.” Edith Wharton in Context. Ed. Laura Rattray. Cambridge: Cambridge UP, 2012.353-363. Print. “The Next 150 Years: Wharton Goes Digital.” The Edith Wharton Review 28.2 (Fall 2012): 1-9. “Edith Wharton Meets Aquaman: The Glimpses of the Moon and Imperiled Male Culture in Entourage.” The Journal of Popular Culture, Vol. 45, No. 6 (December 2012): 1152-1168. Print. Analyzes the Wharton “brand” and her novel Glimpses of the Moon as a story arc in the third season of the HBO series Entourage. “Relative Truths: The Damnation of Theron Ware, Father Forbes, and the ‘Church of America. 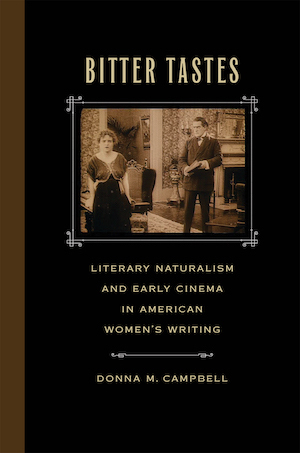 '”American Literary Realism 44 (Winter 2012): 95-112. Print. Discusses the historical, cultural, and ethnic controversies surrounding the Father Forbes character, including anti-Catholic sentiment and the citizenship crisis. “Jack London: Critical Perspectives.” Jack London: Critical Insights. Ed. Lawrence Berkove. Salem Press, 2011. 96-115. “American Literary Naturalism: Critical Perspectives.” Literature Compass 8/8 (2011): 499–513, 10.1111/j.1741-4113.2011.00819.x Online. “W. D. Howells’s Unpublished Letters to J. Harvey Greene.” Resources for American Literary Study 14 (2009) : 73-94. Print. Includes Howells’s previously unpublished letters to his boyhood friend and lifelong correspondent J. Harvey Greene with biographical and contextual material; letters include a rare look at Howells’s views written in 1854. “The Rise of Naturalism.” The Cambridge History of the American Novel. Ed. Leonard Cassuto and Clare Eby. Cambridge: Cambridge University Press, 2011. 499-514. Print. “Women Writers and Naturalism.”The Oxford Handbook of American Literary Naturalism, ed. Keith Newlin. Oxford: Oxford University Press, 2011. 223-241. Print. “Naturalism.” The Encyclopedia of the Novel. Ed. Peter Melville Logan. Malden: Blackwell Publishing, 2011. DOI 10.1111/b.9781405161848.2011.x Print and Online. “Edith Wharton.” The Encyclopedia of Twentieth-Century Fiction. 3 vols. Vol 2: Twentieth-Century American Fiction. Ed. Patrick O’Donnell, David W. Madden, and Justus Nieland. Malden: Wiley Blackwell, 2011.908-911. Print. Online: DOI 10.1111/b.9781405192446.2011.x Print and Online. “Edith Wharton: Short Stories.” A Companion to the American Short Story. Ed. Alfred Bendixen and James Nagel. Oxford: Wiley-Blackwell, 2010. 118-132. Print. “Fiction: 1900 to the 1930s.” American Literary Scholarship 2007, ed. Gary Scharnhorst. Durham: Duke University Press, 2009. 301-333. Print. “Naturalism: Turn-of-the-Century Modernism.”A Companion to the Modern American Novel, 1900-1950, ed. John T. Matthews. Malden: Wiley-Blackwell, 2009. 160-180. Print. “A Literary Expatriate: Hamlin Garland, Edith Wharton, and the Politics of a Literary Reputation.” Edith Wharton Review 24.2 (Fall 2008): 1-6. Print. Discusses Garland’s relationship with Wharton and his three published recollections of their meeting as indices of her critical standing. “A Forgotten Daughter of Bohemia: Gertrude Christian Fosdick’s Out of Bohemia.” Legacy 25.2 (2008): 275-285. Print. Full version at this site Copyright © 2008 The University of Nebraska Press. Provides a biographical sketch of Fosdick and analyzes her little-known novel of a female artist in the context of Henry James’s The Portrait of a Lady and Hawthorne’s The Marble Faun. “Walden in the Suburbs: Thoreau, Rock Hudson, and Natural Style in Douglas Sirk’s All that Heaven Allows.” Modern and Postmodern Cutting Edge Films , ed. Anthony Hughes. Newcastle: Cambridge Scholars Press, 2008. 29-49. Print. “At Fault: Kate Chopin’s Other Novel.” Cambridge Companion to Kate Chopin, ed. Janet Beer. Cambridge: Cambridge U P, 2008. 27-43. Print. “Fiction: 1900 to the 1930s.” American Literary Scholarship 2006, ed. David Nordloh. Durham: Duke University Press, 2008. 273-309. Print. Chapters 11-14, The Custom of the Country by Edith Wharton. The Mount.https://www.edithwharton.org/programs-and-events/the-custom-of-the-country/. March 2013.